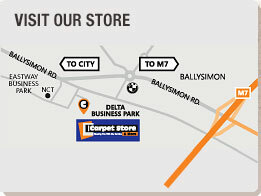 At the Carpet Store and More we stock a vast range of accessories which can offer the final touch to your new flooring. From underlay to rugs to finishing strips and glue to beading we can recommend the right accessories to meet your needs and to keep your new flooring in perfect condition. Call in today to view our full range of door trims.